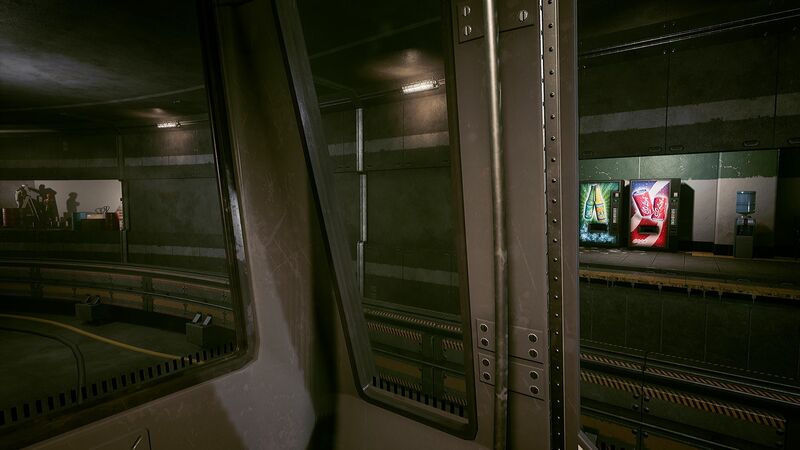 Project Lambda is a remake of the original Half-Life using Unreal Engine 4. 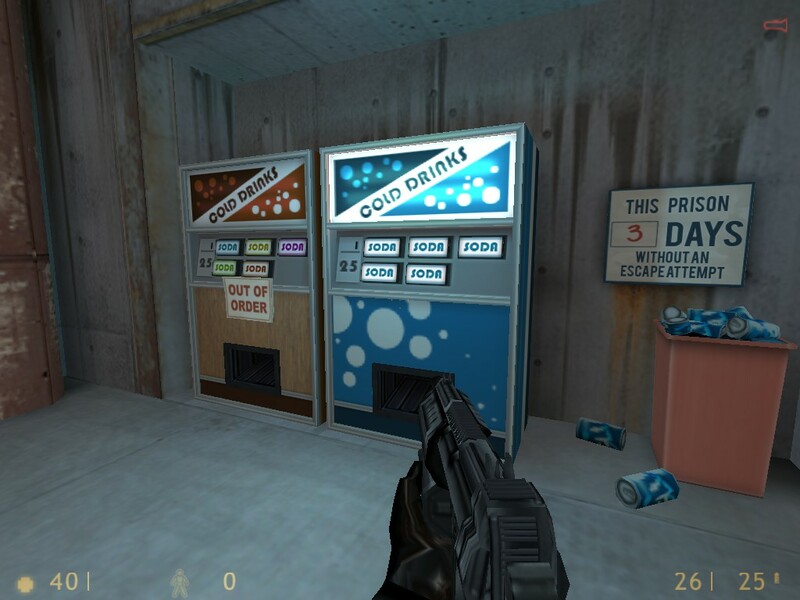 It’s still a work in progress, so we can only hope the team will eventually replace these stock soda machine assets with shiny new versions of Half-Life’s Soda Soda Pop and juice vending machines. 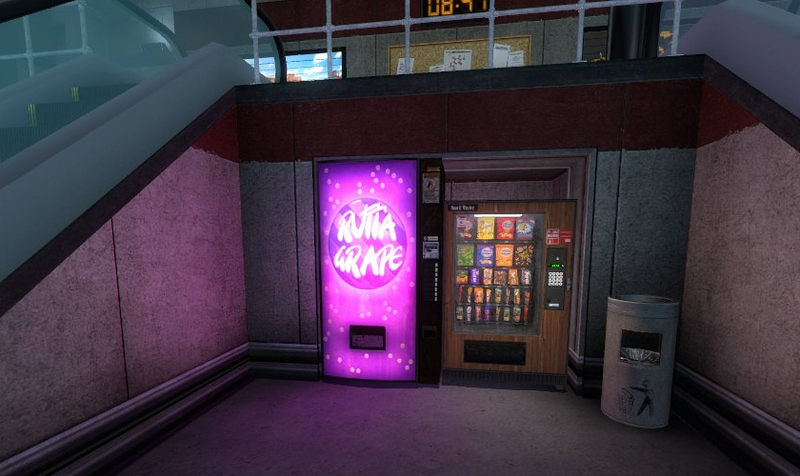 Anyway, this drink is grape. 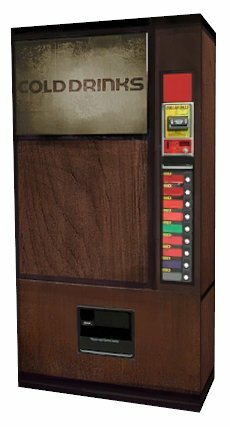 It’s so delicious and cold. 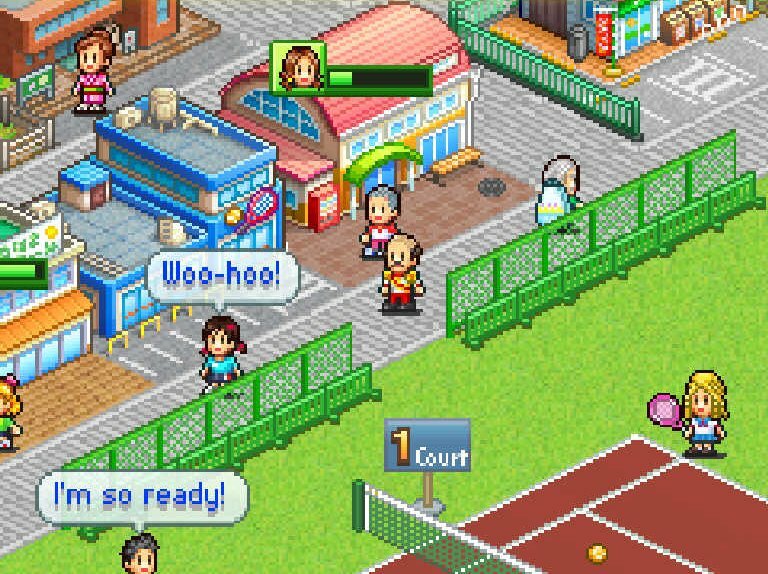 Thanks for the screenshot, Kenneth! 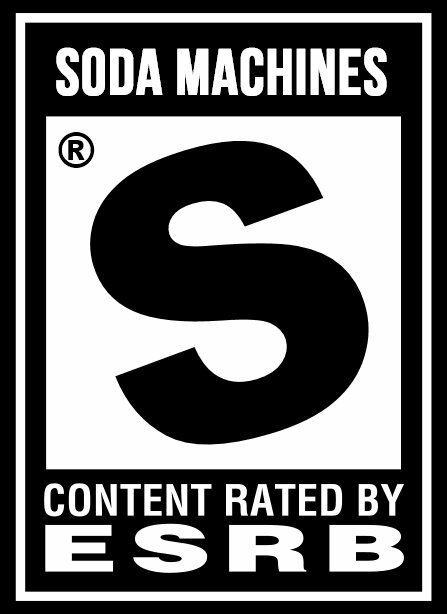 Half-Life: C.A.G.E.D. 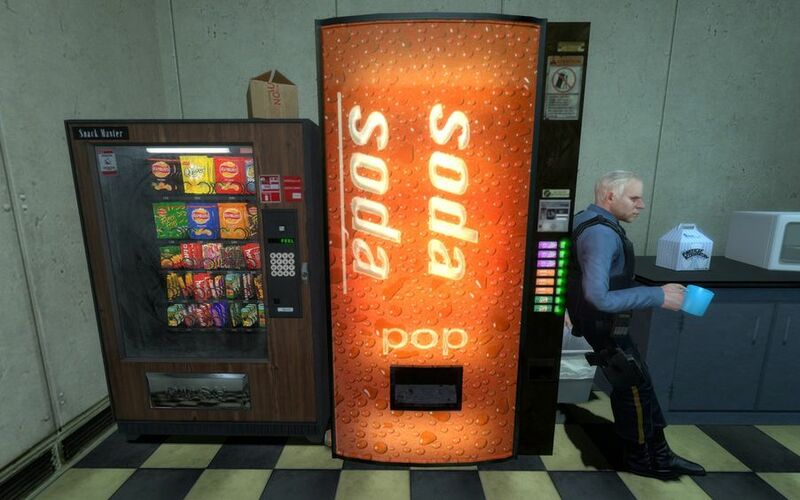 just popped up on Steam yesterday, and hey — it has soda machines! 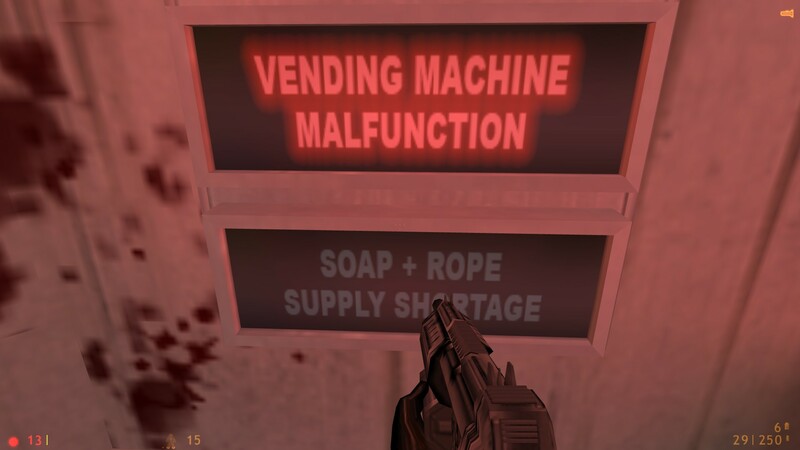 Be careful, though; you don’t want to end up with a vending machine malfunction. 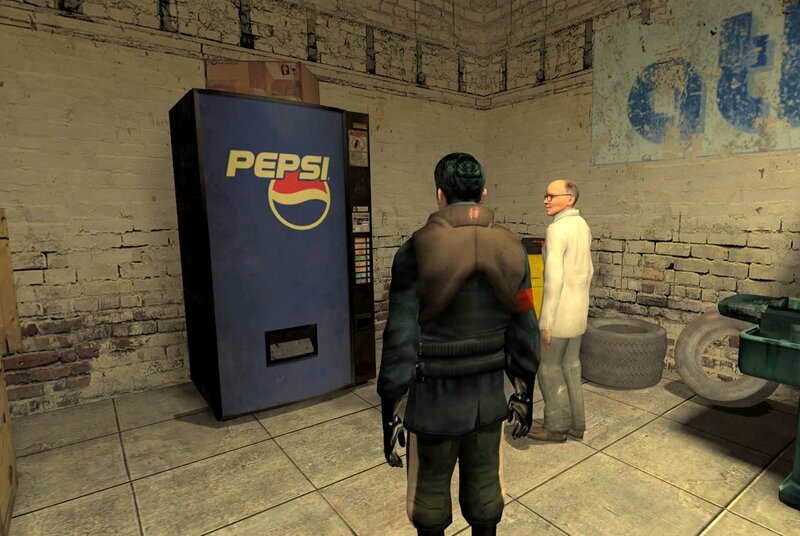 This placeholder model from the Half-Life 2 Beta is perfect, because nothing says “dystopian future” like Pepsi winning the Cola Wars. 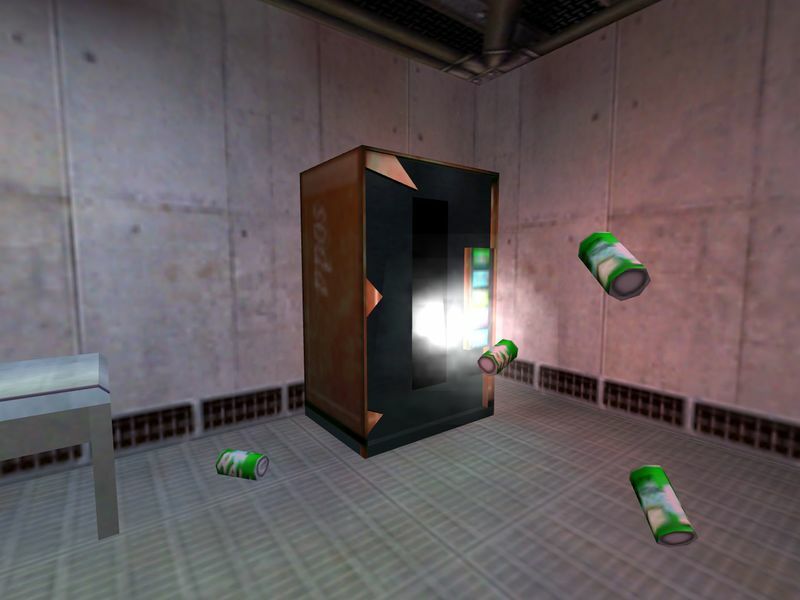 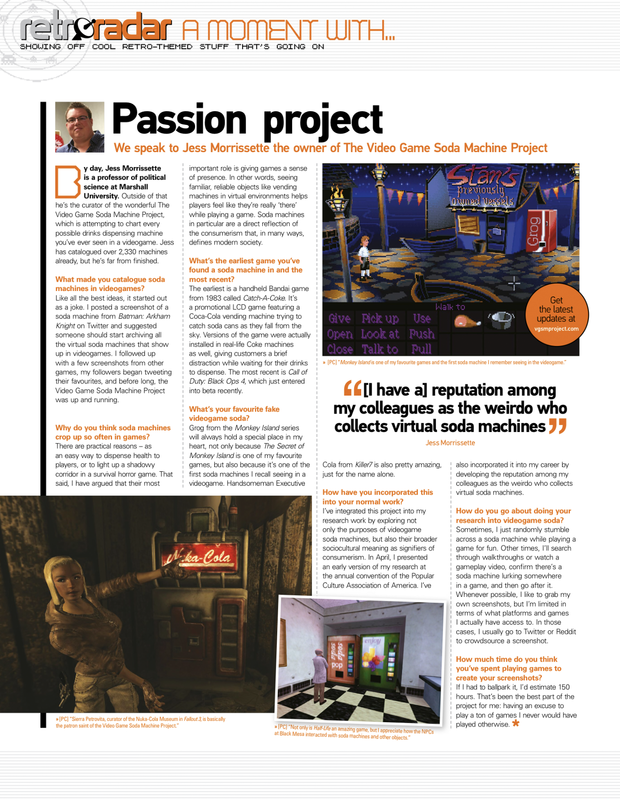 Also, for good measure, here’s an exploding soda machine from Half-Life: Uplink, which served as a demo for the game. 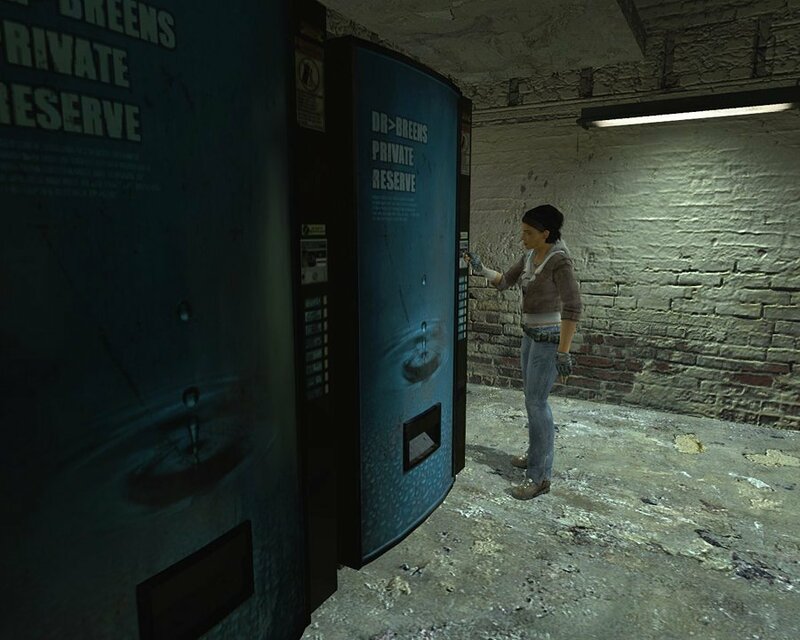 Can I get a ruling on whether Dr. Breen’s Private Reserve from Half-Life 2 is a soda or a bottled water product? 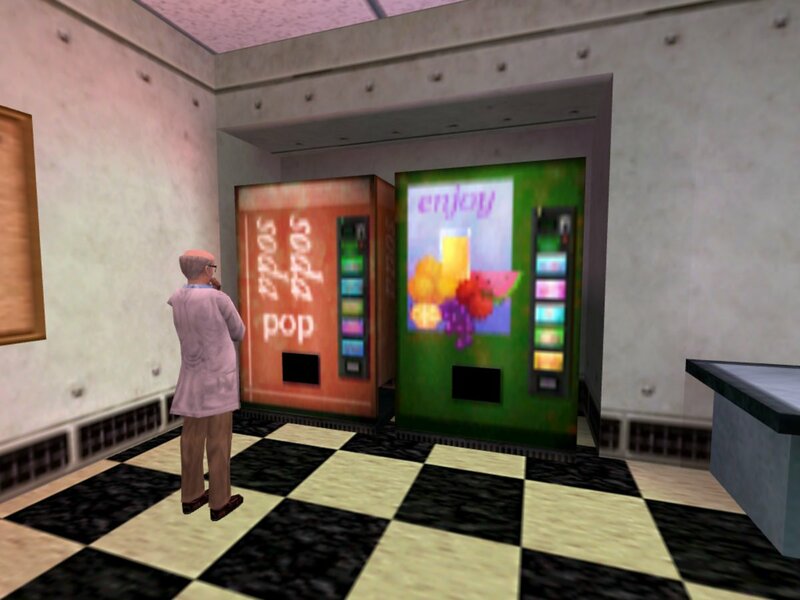 Soda Soda Pop and juice vending machines from Half-Life. 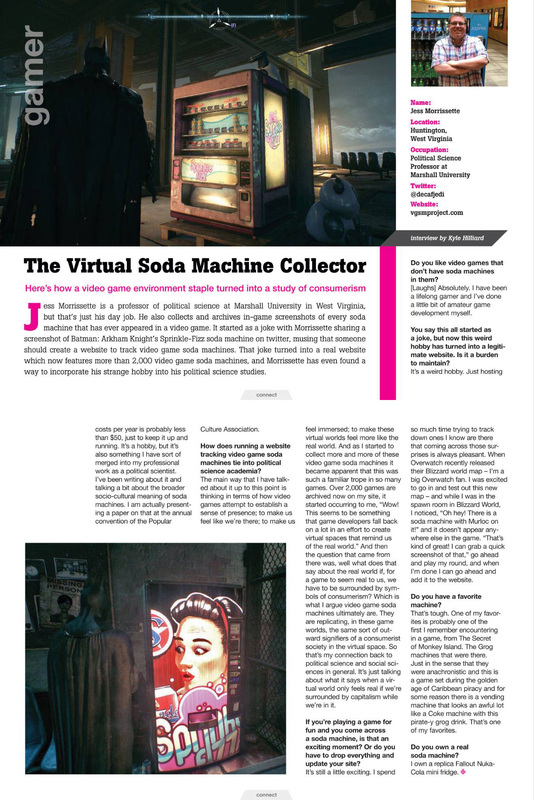 Thanks, @LNorwegians!